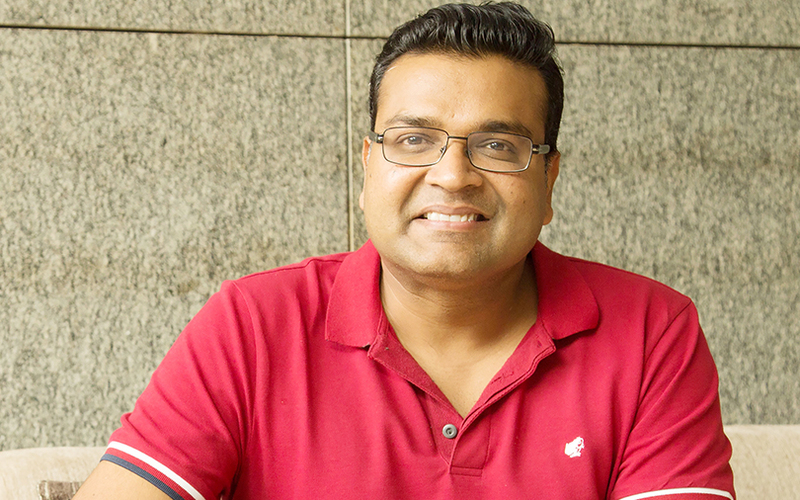 Sandeep Aggarwal, the founder of used car marketplace Droom and e-commerce portal ShopClues, told VCCircle that has invested an undisclosed amount in media content startup WittyFeed. Besides WittyFeed, Aggarwal also invested in Israel and US-based venture capital fund LionBird Ventures earlier this year. His investment ticket size in each startup ranges from anywhere between Rs 25 lakh and Rs 1.5 crore. Aggarwal said he had plans to invest a total of $3 million (Rs 19.5 crore approximately) in 12 Indian startups this year but had refrained due "sluggish market conditions." He intends to complete his investments soon, although they will spill over to the next calendar year. He has been investing in companies for the last two years in small amounts. “I had invested in five startups in 2015, followed by seven in 2016." Aggarwal is interested in startups in healthcare, data science, artificial intelligence sectors, and horizontal and vertical marketplaces. "While most of my investments will be in India, I am looking to invest in horizontal marketplaces in South East Asia," Aggarwal, who has till now invested $1.5 million (Rs 10 crore) in two years, said. He also said that the biggest chunk of his investment came in 2016 at $700,000 (Rs 5 crore). LionBird is an early-stage investor and provides support for startups utilising technology to improve offline processes in healthcare, commerce, and the enterprise segment. The VC firm was founded by Chaim Friedman, who co-founded laboratory informatics company Starlims and sold it to Chicago-based Abbott Laboratories. Aggarwal told VCCircle that the people running LionBird made angel investments in their personal capacities in Droom and Shopclues. WittyFeed was founded in 2014 by SRM University graduates Vinay Singhal (CEO), Shashank Vaishnav (CTO), and Parveen Singhal (content head). In September, the startup secured pre-Series A funding from a group of angel investors, including Anand Chandrasekaran, former product head at Snapdeal; Apurva Chamaria, head of corporate marketing at HCL Technologies; Ritesh Malik, co-founder at co-working space Innov8; and others. The Indore-based company offers curated listicles, charticles, and visual-led content on topics ranging from entertainment, sports, lifestyle, travel, etc. The startup uses paid influencers to distribute and promote its content. It also works with brands for branded content and advertising. The company reportedly generated revenue of $6 million as of 2016 and currently employs over 120 people. Aggarwal’s other investments include PepperFry-like Indonesian marketplace Dekoruma, Guargaon-based mobile-driven wholesale buying and selling marketplace Wydr, Noida-based fashion sales information provider Shopsity, Malaysia-based mobile-first fashion and lifestyle marketplace Duriana, Gurgaon-based Curo Healthcare, and California-based Dataguise and GiveClub. Besides investing in startups, Aggarwal said he was looking to raise another $30 million in Droom’s sixth round of funding by April next year. "We are seeing good interest from USA, Japan, Hong Kong, and China," he said. The new round will be led by a new investor and existing investors will put in money on a pro-rata basis, he added. Droom Technology Pvt Ltd, which Aggarwal says is the third largest e-commerce platform in the country in terms of gross revenue after Amazon and Flipkart, has raised $65 million till date. The company had last raised $20 million in its Series C round in July this year.